We have an intuitive understanding of how the world works. Our intuition works well in our everyday lives, but it doesn’t quite match reality. One of the basic assumptions we make about objects is that they are objectively real. For example, when you leave your apartment in the morning, you imagine your house is right where you left it as you go about your day. Barring some calamity, you expect to find your apartment just as you left it when you return in the evening. This idea is known as macrorealism, in that a macroscopic object such as your house is still there even when you’re not looking at it. In scientific terms we would say the state of an object exists independent of an observer. While this seems obviously true, we can test the idea experimentally. To show this, let’s consider an experiment. Suppose we have a box that contains a coin. At any time we can open the box and see whether it’s heads or tails. The catch is that the box has to follow a certain rule. Whatever you observe initially, you must observe the same thing ten seconds later. If you open the box and see heads, then ten seconds later when you open the box you must also see heads. For the experiment we’ll open the box, then open it five seconds later, then finally open it again at ten seconds. We know the first and last observations have to agree, but what about the observation in the middle? It depends upon what the box does with the coin. One possibility is that the box does nothing, so if you see tails the first time, you will see tails both other times. Another possibility is that each time you open the box it flips the coin when you close it. So the first time you see heads, the second time tails, and the third time heads again. But we could also make a tricky box that flips the coin at seemingly random times, but does so in such a way that every ten seconds it repeats the pattern. In that case, we would always see the same thing the first and last time, but the middle observation would seem random. If macrorealism is true, then middle observations being always the same as the first and last observation, always opposite or always random are the only possibilities for the experiment. 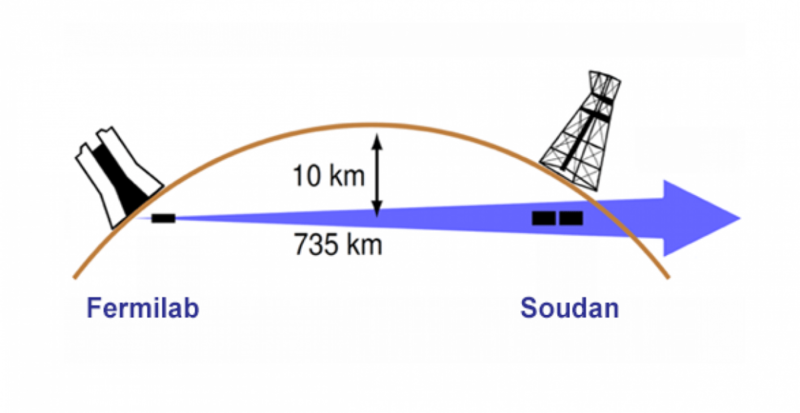 The MINOS far detector near Soudan, MN. This reality condition can be expressed in a simple inequality known as the Leggett-Garg Inequality. This is done by looking at the correlation between each observation. Since the first and last observations must always agree, then we can say the correlation C13 = 1. If the middle observation is also the same, then we can say C12 = C23 = 1. If the middle observation is always opposite, then we can sayC12 = C23 = – 1. If the middle observation is random thenC12 = C23 = 0. The Leggett-Garg inequality simply states that C12 + C23 – C13 must be no bigger than 1. This makes sense because the three cases give sums of 1, -3, or -1. If any experiment violates this inequality, we can say it violates the assumption of microrealism. Measurements of neutrino flavor. The red curve represents the result expected by the Leggett-Garg inequality. The actual observations in blue clearly violate the inequality. Credit: J. A. Formaggio, et al. 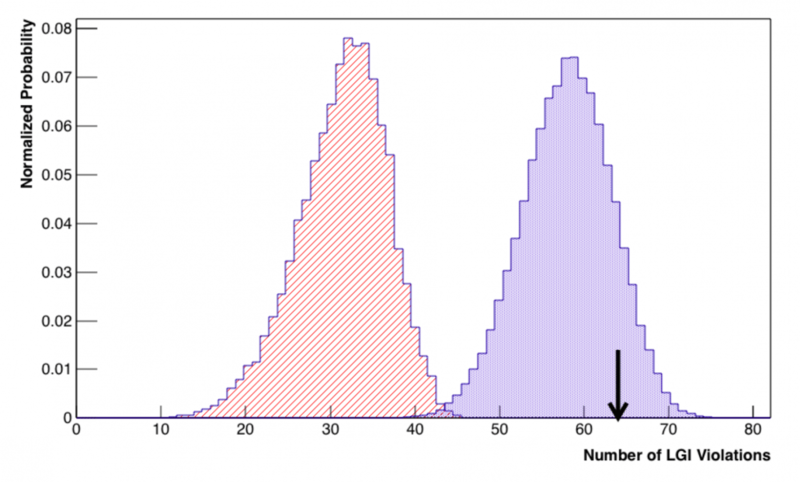 What’s interesting is that quantum systems violate this inequality all the time. Take, for example, a recent experiment on neutrinos. Neutrinos have a strange property known as oscillation, where the “flavor” of a neutrino changes. Each flavor interacts with other matter in a unique way, so when we observe neutrinos we also observe their flavor. It’s tempting to imagine the three flavors of a neutrino as being like the state of a traffic light. It’s always red, green, or yellow, but changes over time. If that were the case, then the Leggett-Garg inequality should hold for neutrino oscillation. But it doesn’t. 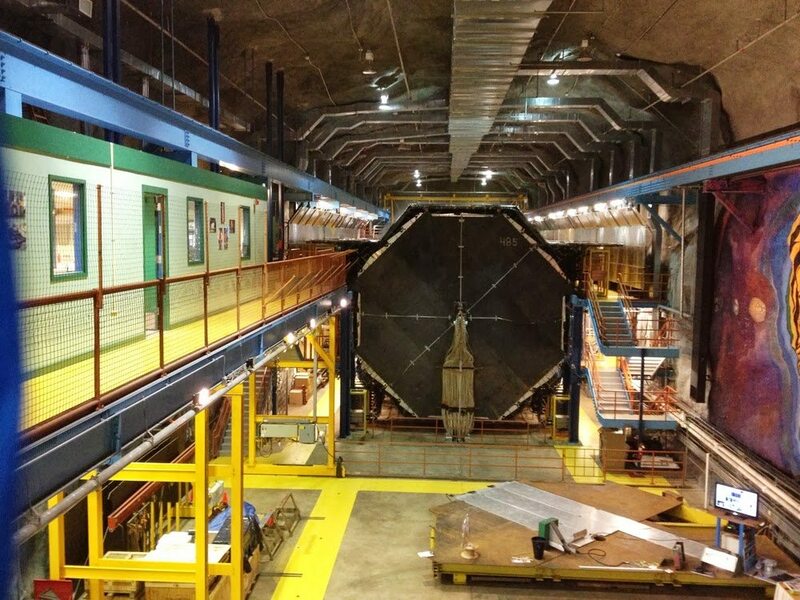 Recently a team measured the flavor of neutrinos beamed from Fermilab to the MINOS far detector near Soudan, MN. They found a clear violation of the Leggett-Garg inequality, which means that neutrino flavor violates microrealism. In other words neutrino flavor is a truly quantum state. A particular neutrino doesn’t have a specific flavor that changes over time, because flavor isn’t macroscopically real. It’s one more example of how our intuition fails when it comes to quantum theory. I read it again, and am still confused. If a neutrino has three detectable flavors then it’s microscopically real. However, the flavors change so they’re not macroscopically real. The LGI violations pertain to the macroscopic reality…I think…confirming that macroscopic reality is unreal. I doubt that I have that right. Explain it again when you have an opportunity. In any case, 5 groups were on the Sun today with 26 spots for a daily sunspot number of 76 at 1905 UTC. So, each flavor is one in a certain set of possibilities in the wavefunction collapse that dictates how how it’s interaction with matter will be perceived by the observer, correct? But the ratio at which the flavor oscillates cannot be described be any classical function that we know of. Let me know if I’m getting it right. So therefore, if the flavor cannot be said to be a real state due to this violation, but it demonstrates persistent effects based on the real determination of the particle interaction differences, what, actually is it? Is the flavor oscillation random, or is there an observable statistical value to it? I seem to recall that recent research into neutrino oscillation indicates that, while they weren’t what we predicted, the ratio is identifiable within a certain range of confidence. So, again, iso it just that the mathematics we use to describe deterministic macroreality and object permanence have no correlation here, or does it also violate some deeper fundamental princple of microreality or quantum mechanics?